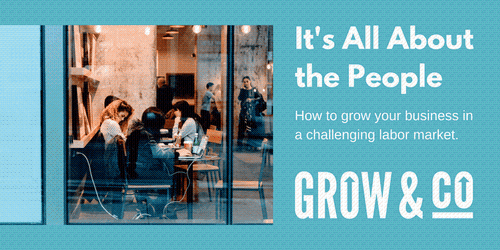 How to grow your business in a challenging labor market. Almost every organization has a help wanted sign or is looking for help to grow the business. This hands-on workshop is focused on discussing successful strategies to meeting a growing customer base in a challenging labor market. The competition for finding good talent is fierce and we will demonstrate how to attract and retain incoming talent. In addition, we will specifically give insights on efficiency models that use less direct labor, identifying opportunities for outsourcing, organizing work into segments that can use contract labor, and effective use of continuous improvement systems. Finally, we will talk about ways for your organization to lift capacity without breaking the bank. You will learn what drives long term success in your organization and practical techniques on how to supercharge your efforts.